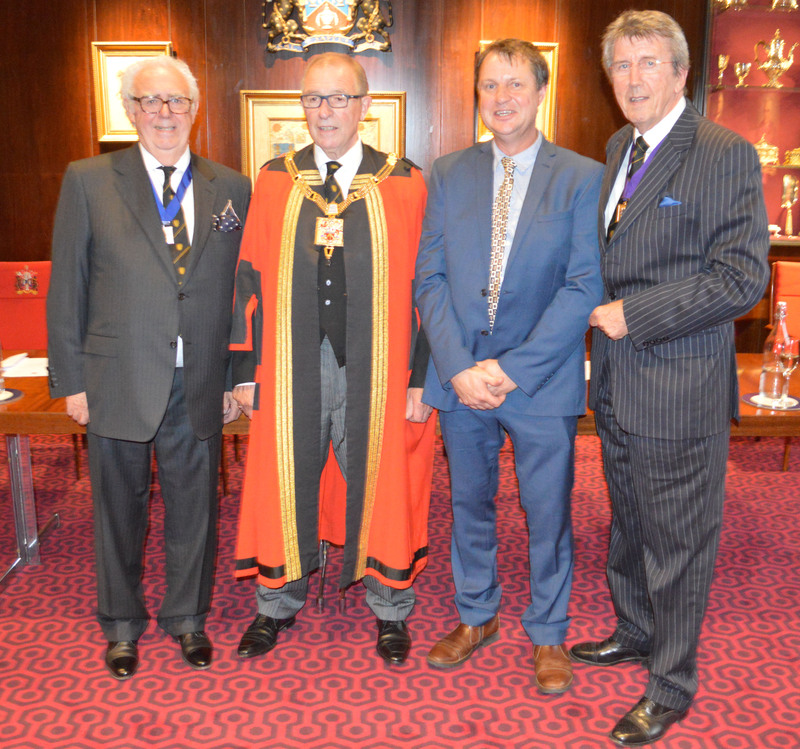 On 22nd March 2018 the Master joined around a dozen other Masters at Dinner at Skinners’ Hall. 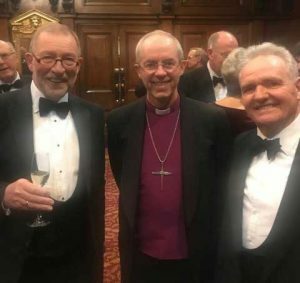 The Dinner was organised in aid of the Foundation for Educational Leadership, which is the Church of England’s initiative to improve the lives of children, especially in the areas of disadvantage and disruption. One of the principal guests, as head of the Church of England, was the Most Reverend Justin Welby, the Rt Hon The Lord Archbishop of Canterbury, and he is pictured here with the Master, Tony Ward and the Master Chartered Surveyor, Tony Joyce. The Archbishop is a member of the Skinners’ company. 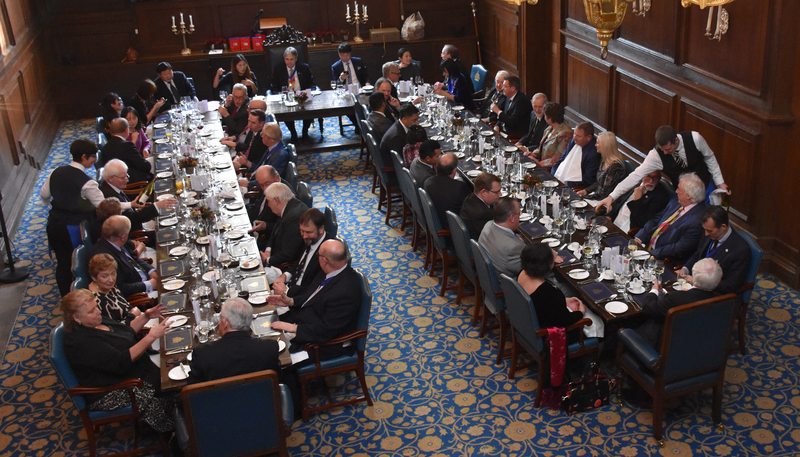 The Church of England is seeking to connect with the Livery to explore ways that we might all work together in a co-ordinated way and had invited 56 people to Dinner to further this cause. The Master’s immediate table companions were the Master Tallow Chandler, James Long, and Revd. Nigel Genders, an energetic cleric who is the Church of England’s national lead on the subject. Apparently the Church has some 4,700 schools across the United Kingdom, many of them in the more rural areas of the country, so they are responsible for a very large population of youngsters.